Apparently yesterday (as per the other thread) the Project Scorpio website updated to remove the mention of 'high fidelity VR' from the bullet points. As far as I can recall, the system was introduced with VR in mind. Did something fall through? Was this in response to the leaked documents in any way? [UPDATE] A Microsoft representative told GameSpot that Project Scorpio will offer "high-fidelity VR experiences," though the company did not say why the line was removed from the site. "When Project Scorpio ships later this year it will be the most powerful console ever built with a 6 teraflop GPU to deliver true 4K gaming, high-fidelity VR experiences, and greater graphic fidelity. We have nothing additional to share at this time," the spokesperson said. So I hate playing the insider card but I feel like it's important here. Microsoft is not getting rid of VR. In fact they made a move last week that surprised me because I thought they were dropping it. Whether it's a move towards Windows VR or Scorpio, I'm not sure. But it's under the XBox banner so likely Scorpio. I'm 50% confident it'll be at E3 and 100% confident VR is still moving forward. "As far as I can recall, the system was introduced with VR in mind. Did something fall through? Was this in response to the leaked documents in any way?" VR is dead, Jim. Another case of the industry not able to hold their balls and wait for the tech to advance, and prematurely ejaculating all over the tech. There was a rumor of Fallout 4 VR launching alongside Scorpio. Probably it won't happen anymore. I'm still wondering how VR would work if all games had to be for original Ones and Scorpio? Vr maybe not ready for Scorpio launch. Maybe they realized Oculus is becoming simply too poisonous, PR wise, with all their various scandals of late. Or Microsoft and Facebook's relationship has turned sour because of a new product that they will compete on that is yet to be mainstream or announced? Correct me if I'm wrong about the Oculus/Scorpio connection, though. The inside-out tracking of Hololens (a $3000 device) is not reliable enough for VR precision. I expect it to be delayed into 2018 w/little detail at E3. Tracking has to be millimeter precise at all times with zero-toleranse for flaws with VR to avoid nausea (unlike AR where a slight shift in graphics won't effect you). Having the hardware displayed at CES 2017 with no-show of the tech is a warning sign. Show-us-the-receipts.gif. I mean, Phil Spencer kinda hinted at it late 2016, no ? An article will be citing this thread tomorrow. It's a shame they seemingly dropped VR, but the tech just isn't there/affordable enough yet IMO. Maybe they couldn't figure out a way to charge monthly for using it. I mean it make sense. VR isn't exactly taking off. Granted it's still in it's infancy stage and the actual good VR systems (VIVE, OR) are insanely expensive and require expensive hardware on top of that to use (unless Scorpio would have been able to power one of these). Even then, the applications for a lot of the games is very limited. The best experiences seem to be niche games. Well, none of the MS partners' VR HMDs actually worked at CES. Are we less likely talking capabilities and possibly a fallen through partnership with Oculous or Vive? Or is the MS VR nowhere near ready? And didn't we have a thread about that space combat Sim being developed for Scorpio VR only last week? Albert? You'll definitely be reading this, any light you can shine here? I think the writing is on the wall that VR isn't exactly a huge mainstream selling point they want to attach the whole future of the console to. Better to focus on 4K gaming. Or rather just "good graphics" on traditional screens. I think considering the competition, they'd be wanting to address VR. As a Vive owner I can say that there is no 'high fidelity VR' and there won't be any for the next two years at least. Makes sense. Can't have high fidelity VR on Jaguar. The competition doesn't want to address VR. More likely with Occulus fighting over who gets the 30 % cut from the store sale of software and revenue. Cant imagine either wanting to relinquish store rights. Still cant imagine a Jaguar CPU running these games at the necessary stable 90 FPS for Occulus. PSVR uses 60 FPS and reprojection to fiddle it.. I'm pretty sure that this is because Scorp won't be able to run a Vive or Rift in any meaningful way. I doubt MS would've tied an HMD to the platform the way Sony has. 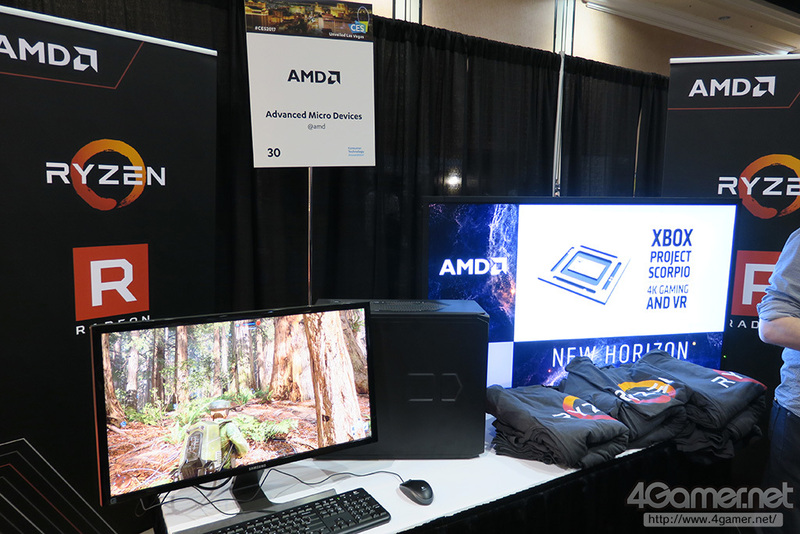 Here's my guess - MS were betting on a Zen/Vega APU being available by Xmas this year, AMD haven't been able to deliver so we're getting a Jag/Vega system instead, and the Jag doesn't have the oomph to run 1440/90x2. So we may get some kind of single panel HMD displaying at 1440 or higher split in two the same as PSVR. Maybe they dont want to make that dot point a "focus"? Remember when "TV TV TV" was a focus and games were secondary. This could be simply a tightening/clarity of core messaging. Exactly, trus i wouldn't even sweat over VR being scraped..and first of all, don't get it twisted, there is no future in VR. Within 2yrs it will be six feet under and forgotten. It's been gone a while from the site has it not, I thought someone on here mentioned it a few weeks ago? Still, this thread gives folk a chance to take pot shots and snidey digs so fill your boots ladies and gents. VR needs more time in the oven. rip I hope "highest-quality, uncompressed pixels" is safe. I won't buy Scorpio unless it comes with a VR bundle. VR is no way comparable to TV. It's worth noticing, but too early and anecdotal to jump to conclusions ; it could mean a lot of things, but we'll know soon enough. The first Win10 headsets were supposed to release Spring 2017, between that and E3 we will see if their plans are in order, late or have changed. It was pretty obvious they meant "not your phone in a cardboard VR" though. Anyway, maybe something fell through with Oculus or they just want to focus on the machine itself first. Sounds like the right decision to me. In terms of performance it can do high fidelity VR(gpu, not sure on cpu), but I think back then they expected VR to blow up but that didn't happen if I'm not mistaken. Yeah that's what I'm saying. It doesn't mean there's no possible VR support, but it doesn't look like VR is the message you want to focus on in 2017 when getting a new box into the mass market's hands. Or.. you know.. they decided not to support it after all. But I guess conspiracy theories are more fun, right? Could be nothing. Could be something. But it's definitely interesting. I can see this being a disappointment for some, to me it doesn't matter. After my experiences with PSVR (I know it isn't exactly high-end)I'm not really longing for VR. At least not until the tech matures much further from where it currently is.